We can now live stream this entire evening if we can’t make it to New York City! Register for FREE for access to the awards show and mark your calendar to join us on October 18 as the Annual Salute is streamed LIVE from Cipriani Wall Street in NYC. 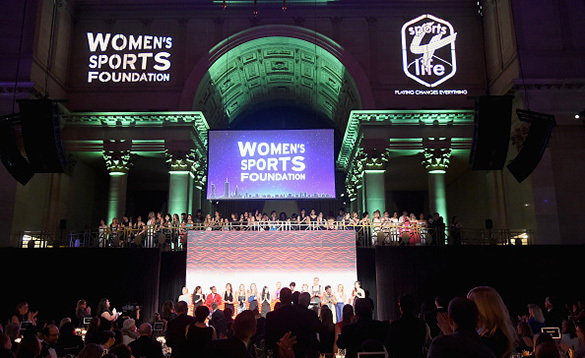 The event kicks off with our Grand March of Athletes at 7 p.m. EDT featuring Billie Jean King, Maya Moore, Michelle Kwan, Lyn St. James, Gabby Douglas and more, followed by the presentation of awards. The evening is presented by Chevrolet, espnW, FOX Networks Group, Gatorade and NBC Sports Group with our Co-Hosts Julie Foudy and Jessica Mendoza.